What do we grow best in Lincolnshire ? Potatoes that's what. Peas in abundance. onions aplenty. Solid English veg . 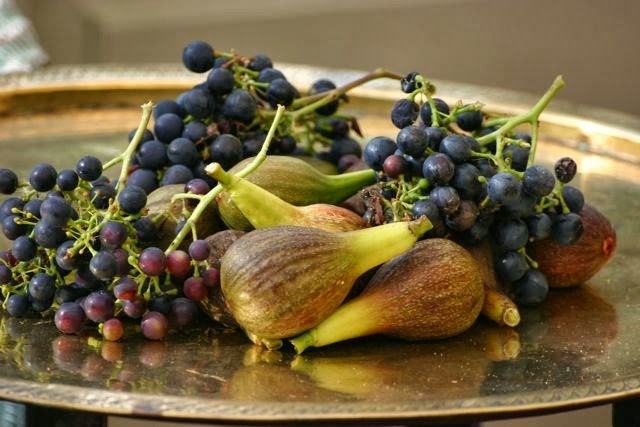 So what have I just harvested ... figs and grapes !! I can't believe it , not here in the murky uk where we can go weeks without seeing the sun ! I have had a grape vine for three years now, which has borne absolutely nothing. This year it has burst into life, due to all the lovely hot summer sun and produced proper bunches. Ever cynical, I ate the first one, expecting it to be bitter and acidic. It was gorgeous. Sweet, juicy and still warm from the September sun. The figs crop every year but this is a bumper crop. The tree is full of luscious fruit ! Both the grapevine and the fig are in a very sheltered sun trap, made by stone walls, so they can make the most of the warmth. The fig tree has survived minus 12 degrees so must be as tough as old boots! 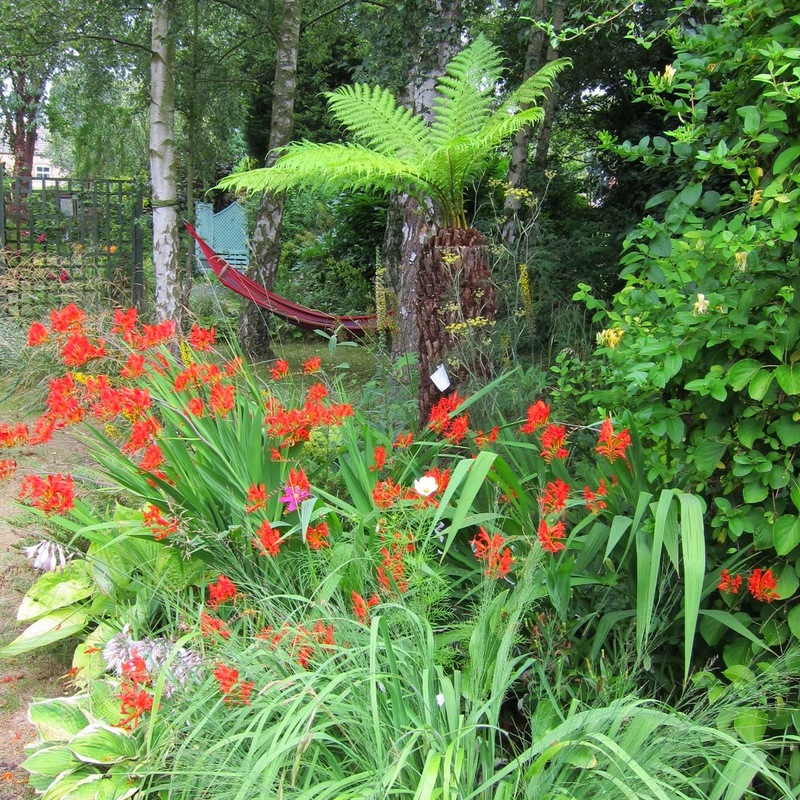 I keep it lean and mean, as it is planted in very poor, thin soil, which is full of stones. I prune it every year to keep it more or less wall trained and a manageable size. Potatoes ? Pah! Peas ? Pooh ! In a summer like this last one, we could have had a little citrus grove !! If only all summers were like that. Wonderful. We eat grapes but I've never really considered growing them myself, I've heard the vines can take a lot of pruning to keep under control. 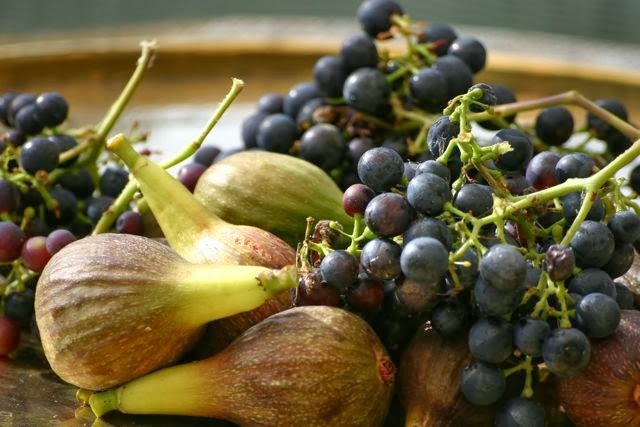 I quite fancy giving figs a try though, do you know what variety you've got? Hi Jo, I think the variety of grapes is "Black Hamburg' if I remember correctly, as the label is long since gone.I haven't needed to prune yet ! The fig tree is Brown Turkey' which is fully hardy. Never fear - Summer 2014 will be even better (well, it might be...). Here's to sunny Lincolnshire! The Tuscany of the UK! Lincolnshire ... the new Tuscany ! I love it. Cleethorpes ... the new Cannes !! I am wild with jealousy looking at those figs. You need a greenhouse here in Massachusetts, but I know people who do get a good harvest. For myself, I have to be content with 'wild' (really Concord) grapes. One vine has climbed at least 20 feet into a tree. No harvest for me there either, but a smaller vine covered tree is more generous. Don't be jealous - it is usually chilly here ! !